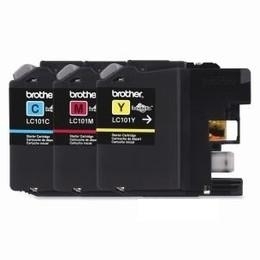 Innobella ink cartridges are designed for use with Brother DCP-J152W, MFC-J245, MFC-J285DW, MFC-J450DW, MFC-J470DW, MFC-J650DW, MFC-J870DW and MFC-J875DW. Innobella ink technology delivers print longevity, richer colors and sharper images. Innobella ink is fade-resistant and color-fast to deliver high-quality images that stay vivid for years. Each cartridge yields approximately 300 pages.